Description: A maverick, idealist, innovator, and expert craftsman, Eugene Nicolas Sartory was born in Mirecourt, France in 1871. After a brief apprenticeship under his father, Eugene Sartory moved to Paris to perfect his art under Charles Peccatte. Almost immediately. Eugene Sartory was recognized for his rapidity of execution and his sure hand. At the startling age of 18, Eugene Sartory set up his own account in Paris, close to the "Conservatoire" a center of musical attraction. Despite the four flights of stairs to his workshop, numerous musician clients came to seek out this celebrated master. On August 4, 1914 Eugene Sartory left the comfort of his workshop and his increasing fame to serve his country in the first world war. During his prolific career, he won numerous medals , such as Brussels 1887, Lyon 1894, Paris 1900, Liege 1905, Milan 1906, and London 1908. He is also credited for inventing the mother-of-pearl frog and the protective tube for the bow. 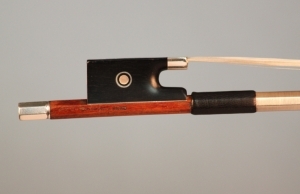 This particular bow is an exceptional example of Eugene Sartory's finest workmanship. 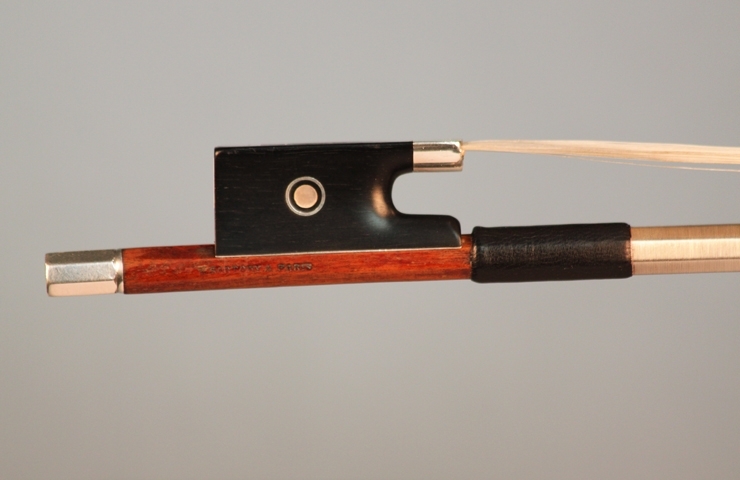 Silver and ebony mounted, and fitted with an octagonal stick. 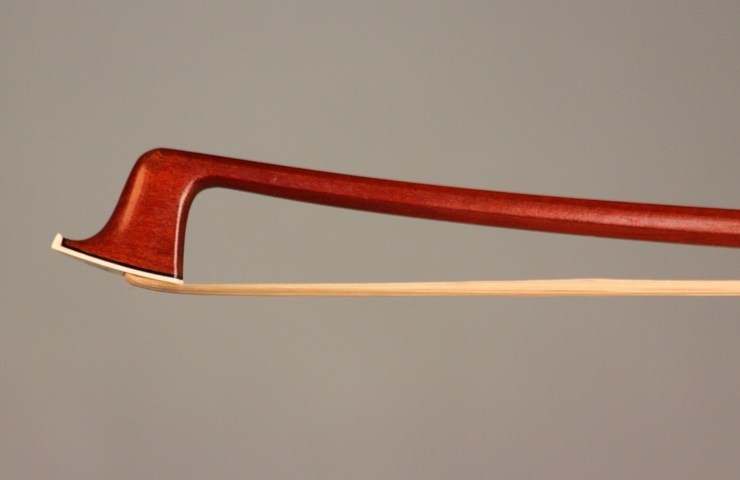 Beautiful staccato feel, evenly balanced, and draws out a beautiful, full tone. Pristine condition and certified by Paul Childs. Weight:60.4 grams.